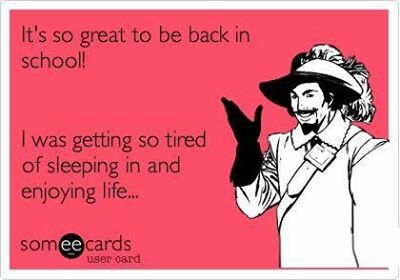 Tomorrow marks the first week back for many teachers. This first week is often filled with meetings, in-service, and a lot of stress trying to prepare for our new year of students. Many people dislike this week and feel like their time is wasted. I am an optimist, so I am thoroughly looking forward to it :). As we embark on this week, I want to encourage us all to look for something valuable in every session we attend. I guarantee there is something. I have NEVER been to a single session in which I did not gain new knowledge. This includes the rare occasions in which I have presented. Even in those sessions did I also learn something from people there to learn from me. Look for it, be ready for it, and when you get it, be it huge or small, appreciate it. Thinking back to a session many of us attended last year, try to keep an attitude of gratitude. I am grateful for this week. I am excited to be back with my work family and welcome newcomers onto our team.